After 16 years and $1tn spent, there is no end to the fighting – but western intervention has resulted in Afghanistan becoming the world’s first true narco-state. 9 Jan 2018 – After fighting the longest war in its history, the US stands at the brink of defeat in Afghanistan. How could this be possible? How could the world’s sole superpower have battled continuously for more than 16 years – deploying more than 100,000 troops at the conflict’s peak, sacrificing the lives of nearly 2,300 soldiers, spending more than $1tn (£740bn) on its military operations, lavishing a record $100bn more on “nation-building”, helping fund and train an army of 350,000 Afghan allies – and still not be able to pacify one of the world’s most impoverished nations? So dismal is the prospect of stability in Afghanistan that, in 2016, the Obama White House cancelled a planned withdrawal of its forces, ordering more than 8,000 troops to remain in the country indefinitely. 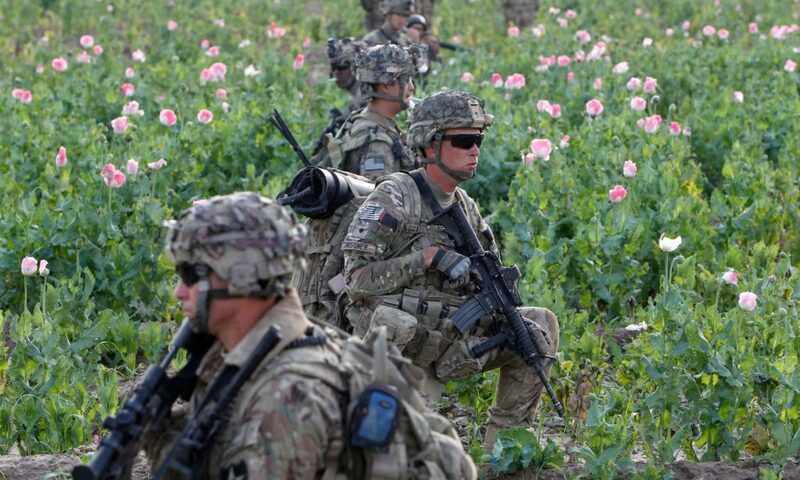 In the American failure lies a paradox: Washington’s massive military juggernaut has been stopped in its steel tracks by a small pink flower – the opium poppy. Throughout its three decades in Afghanistan, Washington’s military operations have succeeded only when they fit reasonably comfortably into central Asia’s illicit traffic in opium – and suffered when they failed to complement it. During the 1980s, the CIA’s secret war against the Soviet occupation of Afghanistan helped transform the Afghani-Pakistani borderlands into a launchpad for the global heroin trade. “In the tribal area,” the US state department reported in 1986, “there is no police force. There are no courts. There is no taxation. No weapon is illegal … Hashish and opium are often on display.” By then, the process of guerrilla mobilisation to fight the Soviet occupation was long under way. Instead of forming its own coalition of resistance leaders, the CIA had relied on Pakistan’s powerful Inter-Services Intelligence agency (ISI) and its Afghan clients, who soon became key players in the burgeoning cross-border opium traffic. In the civil war’s first phase, from 1992 to 1994, ruthless local warlords combined arms and opium in a countrywide struggle for power. Later, Pakistan threw its backing behind a newly arisen Pashtun force, the Taliban. After seizing Kabul in 1996 and taking control of much of the country, the Taliban regime encouraged local opium cultivation, offering government protection to the export trade and collecting much-needed taxes on both the opium harvested and the heroin manufactured. 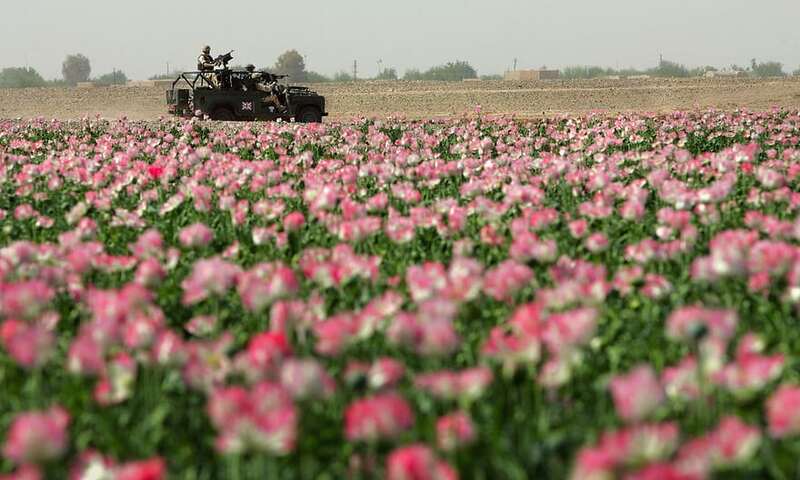 UN opium surveys showed that, during the Taliban’s first three years in power, Afghanistan’s opium crop accounted for 75% of world production. Three months later, in September 2000, the Taliban sent a delegation to UN headquarters in New York to trade upon the country’s continuing drug prohibition in a bid for diplomatic recognition. Instead, the UN imposed new sanctions on the regime for protecting Osama bin Laden. The US, on the other hand, actually rewarded the Taliban with $43m in humanitarian aid, even as it seconded UN criticism over Bin Laden. Announcing this aid in May 2001, secretary of state Colin Powell praised “the ban on poppy cultivation, a decision by the Taliban that we welcome”, but still urged the regime to end “their support for terrorism; their violation of internationally recognised human rights standards, especially their treatment of women and girls”. British troops patrol Helmand province in southern Afghanistan. But for the first few years of the occupation, according to a 2007 New York Times report, defense secretary Donald Rumsfeld reportedly “dismissed growing signs that drug money was being funnelled to the Taliban”, while the CIA and the military “turned a blind eye to drug-related activities by prominent warlords”. In late 2004, after nearly two years of outsourcing opium control to its British allies and police training to the Germans, the White House was suddenly confronted with troubling CIA intelligence suggesting that the escalating drug trade was fuelling a revival of the Taliban. Backed by George W Bush, secretary of state Colin Powell then urged a forceful counter-narcotics strategy for parts of rural Afghanistan, including the same kind of aggressive aerial defoliation then being used against Colombia’s illicit coca crop. But the US ambassador to Afghanistan, Zalmay Khalilzad, resisted this approach, seconded by his local ally Ashraf Ghani, then the country’s finance minister (and, since 2014, its president), who warned that such an eradication program would mean “widespread impoverishment” in the country, without $20bn in foreign aid to create a “genuine alternative livelihood”. As a compromise, Washington came to rely on private contractors such as DynCorp to train Afghan teams to eradicate drugs. By 2005, however, that effort had, according to New York Times correspondent Carlotta Gall, already become “something of a joke”. Men smoking heroin in Quetta, Pakistan, near the border with Afghanistan. By attacking the guerrillas but failing to eradicate the opium harvest that funded new insurgents every spring, Obama’s surge soon faltered. Amid the rapid drawdown of allied forces to meet Obama’s politically determined deadline of December 2014 for “ending” all combat operations, a marked reduction in air operations allowed the Taliban to launch mass-formation offensives, which killed record numbers of Afghan army troops and police. In 2016, 15 years after Afghanistan was “liberated”, and in a significant reversal of the Obama administration’s drawdown policies, Washington launched a mini-surge by “hundreds” of new US troops into Helmand province to deny insurgents the “economic prize” of the world’s most productive poppy fields. Despite support from US airpower and 700 special-operations troops, in February and March 2016 embattled Afghan government forces retreated from two more districts, leaving the Taliban largely in control of 10 of the province’s 14 districts. 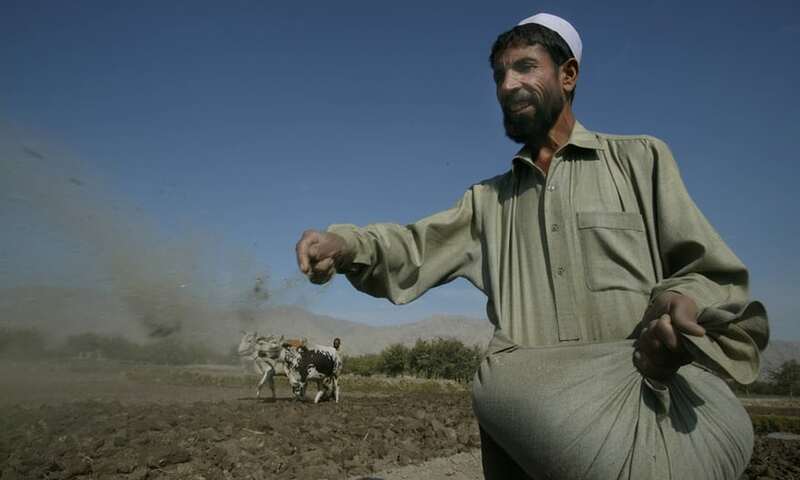 These dismal trends persisted throughout 2017, as the Afghan opium harvest nearly doubled to 9,000 tonnes, well above the previous peak of 8,200 tonnes in 2007. Inside wartorn Helmand province, the poppy area increased by 79% to 144,000 hectares, representing 44% of the country’s total crop. In November, convinced that opium is providing 60% of the Taliban’s funds for wages and weapons, the US command – emboldened and expanded by Donald Trump’s decision to “win” the Afghan war – dispatched, for the first time ever, F-22 fighters and B-52 bombers to destroy 10 of the Taliban’s heroin laboratories in Helmand, a small share of the country’s 500 drug refineries. Adapted from In the Shadows of the American Century by Alfred W McCoy, which will be published in the UK by Oneworld on 25 January 2018.